Motorcycles for business use, which posted an 18 percent sales growth in 2017 to 202,098 units from 170,979 units in 2016, are expected to continue on an upward trend because of the rising popularity of the cocooning trend. This trend is described as the preference of consumers, in particular millennials, to do activities such as working, entertaining and relaxing at home rather than outside. Anytime, anywhere internet connection is feeding the trend even further, with more people now finding it productive to complete tasks, even shopping, from the comfort of their own homes. This home-focused trend is shaping not just individual behavior but the business environment as well. Many businesses are modifying their service platform or strategy to adapt to the trend. With online shopping growing traction, more products from food, fashion items to tech gadgets and even medicines and grocery items are ordered over the internet and delivered to customers’ homes. “More people are opting to spend more time at home. If they shop or run an errand, they do so straight from the house. As a result of this ‘in-home-staying’ lifestyle, we see an increasing demand for online shopping and grocery delivery, which then fuels demand for motorcycles as a delivery transport option,” the MDPPA said. As more businesses expand their delivery services, demand for motorcycles is expected to rise further. The MDPPA assures they can meet the growing demand, particularly of small and medium enterprises. According to the MDPPA, its members are ready to take on the production challenges as they already have facilities capable of meeting the needs of a larger market. Aside from being a cost-efficient delivery vehicle, the MDPPA also sees motorcycles as a better transportation alternative to cars. 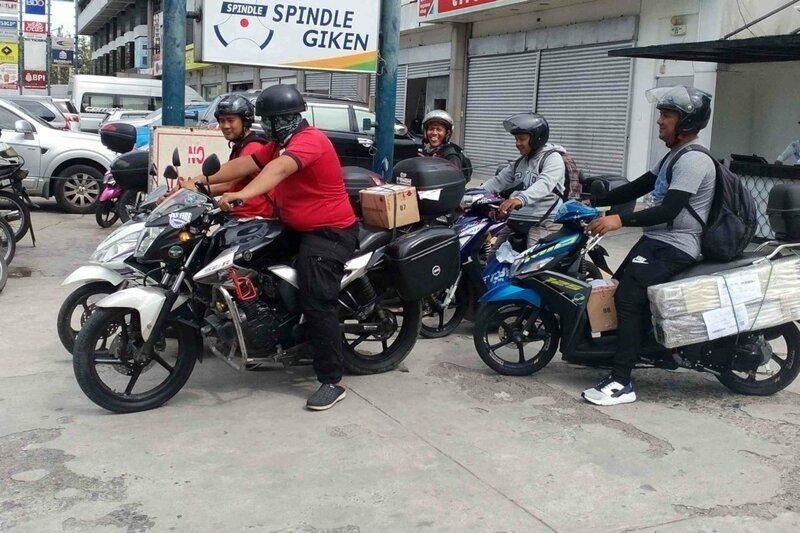 With the worsening traffic congestion in major cities such as Metro Manila, commuters regard motorcycles as a faster mode of transport that allows them to navigate congested streets and reach their destinations with less time. The passage of Republic Act 10963 or the TRAIN Law will adjust the excise tax on automobiles and will definitely increase their cost. This, in return, makes motorcycles more affordable than cars. Personal-use motorcycles are adopted by millennials and skilled workers who view them as the most-practical and affordable vehicle for getting to their destination faster. These feature sleek and trendy designs that cater to young users besides offering better mobility at a more affordable price. Motorcycles with automatic transmission (AT) are popular among new users because of their ease of use. AT motorcycles, sales of which registered the biggest growth during the first half of this year, offer convenience and increased functionality. The MDPPA is aware that the growing demand comes with increasing challenges. The group continues to push for road safety and remains firm in collaborating with the government and the general public. Among its programs are the “Helmets Save Lives” campaign and the seminars for riders, elementary pupils and high school students nationwide. The MDPPA also stays updated about motorcycle road accidents in various parts of the country and sees the urgent need to educate the public more about road safety and ensure riders stay safe when heading home to their family every day. The Association remains steadfast in its goal of educating the public about road safety practices. So more of these pesky motorcycles on the road eh? They're so annoyingly arrogant that you'll have to adjust to them or else you'll bump them whenever they cut in front of you or when you leave a space in front for the pedestrians and they will occupy that said space. They can't seem to lose even a minute when us cars are waiting patiently in line and they just come and block the little space in front of you. Sometimes they will caught you off guard by zooming at your sides when you are turning or changing lanes. I hate them the most along with the even more annoying tricycles who doesn't have even an ounce of respect for others around him. Meron pa dyan lasing na nga magmomotor pa. I got sidescraped by one on my rear quarter panel after he lost his balance at around 5 in the morning. How i wish he just rammed into a moving truck. One less idiot in the Philippines.